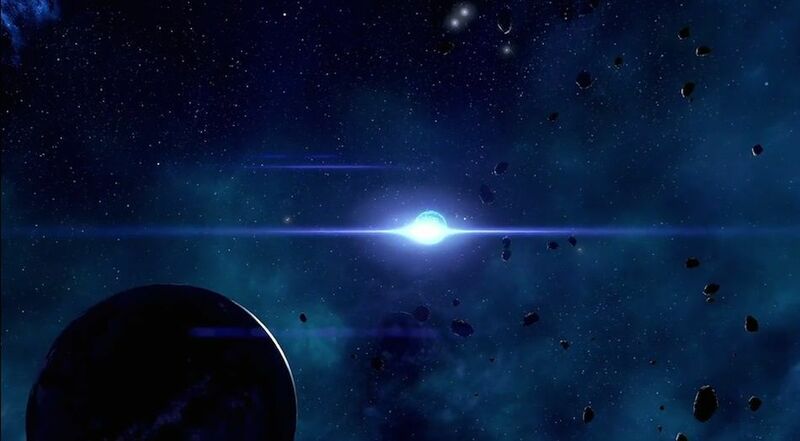 The Secret Project is a Mission in Mass Effect Andromeda. Missions advance the main story, and flesh out the side content of the game as well as provide opportunities for rewards and exploration. "Site 2 - Resilience was the second attempt to settle Eos, but it was destroyed by a kett attack. Searching for clues about what the engineers were working on may yield more answers." To start this mission you can examine the datapad at Site 1 before heading to Site 2. The datapad can be found on the lower level of the building where you met Clancy Arquist. At Site 2 you uncover that you have to find parts of the project and return them to Site 2 and gain the research data, which makes this the tutorial quest for using research points for Crafting. Enter the door on the first floor and SAM will talk to you. Head into the next room and follow the nav to the terminal. Activate to unlock the door. This will release an enemy and trigger a kett team. Take out the foes and you can begin your search for the parts. Go to the second floor the building and interact with the terminal on the right to find the schematics for Special Project Sigma. The first part is in the back room on the floor. The second can be found on the south side of the lake beside Site 2, between 2 crashed shuttle parts. The final component can be found in the kett research center where you first met Drack. In the autopsy room you can find the last part from a console by the window. There is a deady body here you can find for the Naming the Dead mission. Head back to Site 2 and go to where you found the first component. Enter the first floor building to find the project you have to scan. Through the entry of the building you will find a device to the right that you can scan for info. This will add to the viability of Eos. It says to go to a research station to see what you&apos;ve got. But then it&apos;s over... I went to a research station and don&apos;t see what I got that I&apos;m supposed to build or whatever at the research station. So why does your teammates tell you to go there if you didn&apos;t get anything to use there? what is the project after all?